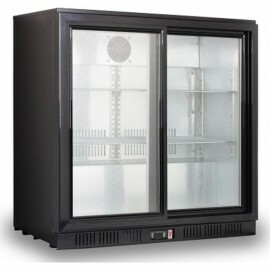 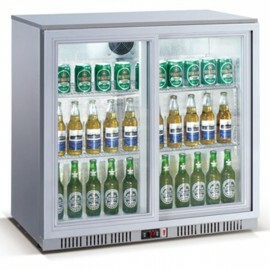 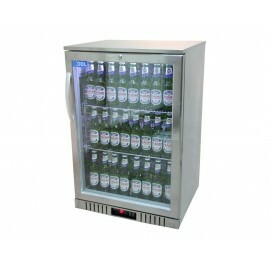 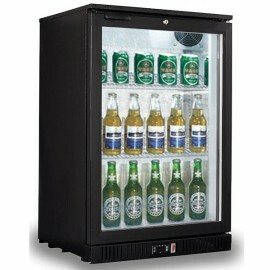 Low cost great value double door bottle cooler ideal for any pub or restaurant back bar. 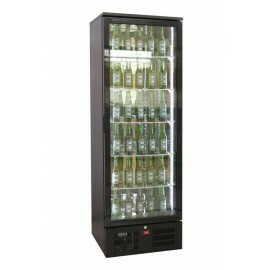 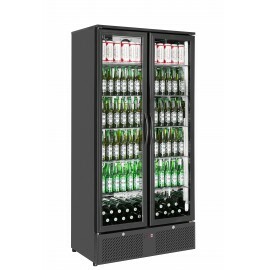 The unit has self-closing hinged doors LED lighting and capacity for 190 330ml bottles. 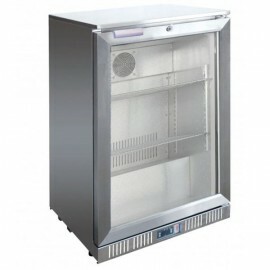 Other great features include automatic defrost, electronic control and stylish black finish. 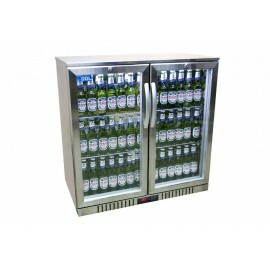 If you run a pub or restaurant, you can choose whichever of these models would seem most suitable for the building's back bar. 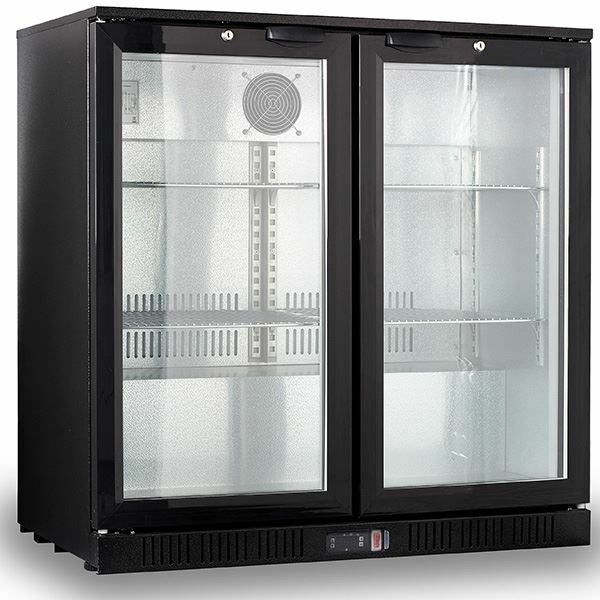 Each of these coolers comes in a stylish black finish, while electronic control and automatic defrosting are among the great features common between these models. 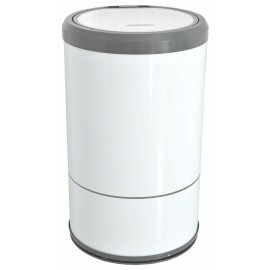 Due to decibel rating in operation these units are not recommended for domestic use. 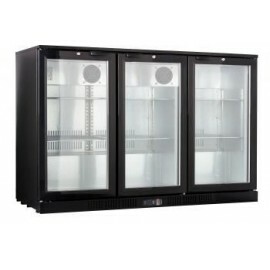 Each unit also features double glazed, self-closing glass doors, while front vents mean that the cab..